The East Coast Tsunami Fest has announced its 2012 line-up. among others, which you can see in the event flier above. 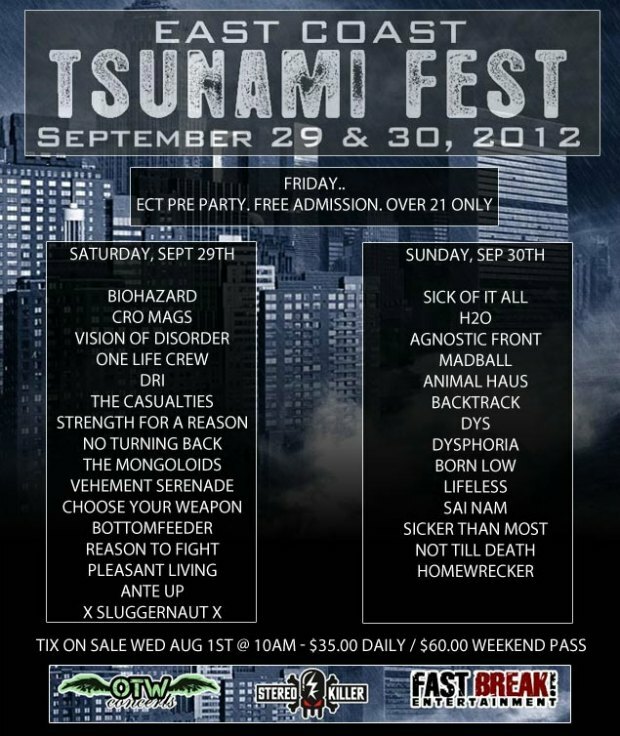 East Coast Tsunami Fest takes place September 29 and 30 at Reverb in Reading, PA.